Our friends at Thrower Electric in Loganville, GA brought us their brand-spankin' new 2017 Jeep Wrangler Unlimited for a MAJOR transformation. 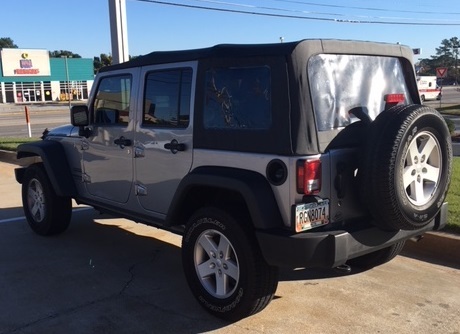 This JKU rolled in stock as stock can be, with the biggest upgrade being power windows and door locks! We stripped her down to her bones and started building her back up. 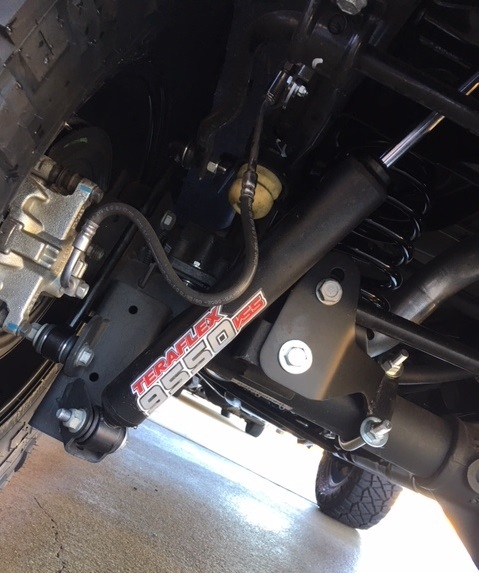 The Jeep was lifted using the 2.5" lift kit with 9550 shocks from Teraflex and Black Rhino "Glamis" 18" wheels were wrapped in 35" Nitto Ridge Grapplers. The front of the Jeep got a facelift, thanks to the Rock Crawler stubby front bumper from Warn, which now holds their new VR10s Gen2 winch with synthetic rope. The rear was upgraded with the Elite series rear bumper and tire carrier, also from Warn. Aluminum inner fenders and fender flares from Aries, along with XRC slider steps from Smittybilt, were installed for added side protection. 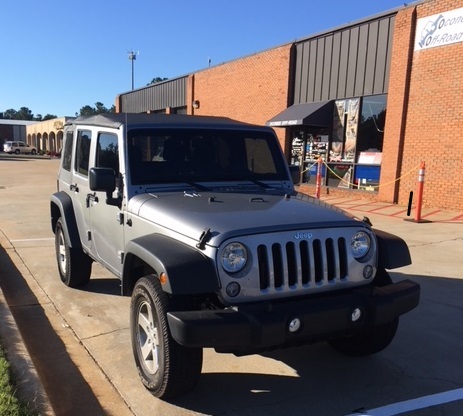 The Jeep was dialed in with Superchips Flashcal programmer, which recalibrates the speedometer, along with correcting shift points and fuel curve. If you or your company wants a dream vehicle built, we can handle it from conception to completion. 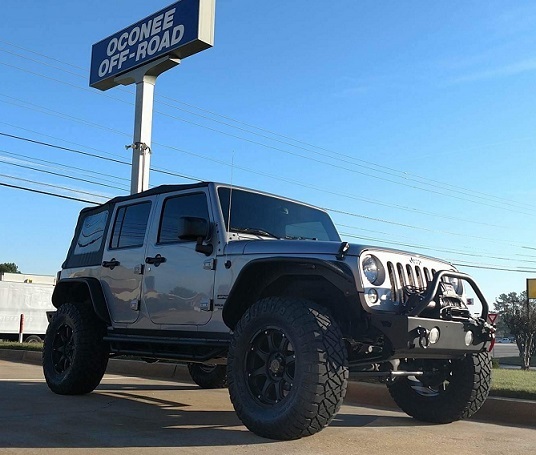 Give us a shout at 706.534.9955 or swing by our showroom at 3975 Atlanta Highway in Athens, GA. From mild to wild, Oconee Off-Road is your premier source for aftermarket and off-road accessories, upgrades, and installations.